Who’s that? Oh, hello Matthew. The Spinoff website recently carried two worthwhile retrospective articles looking at the impact of Nicky Hager’s book Dirty Politics. Read them if you’re interested via the links below. Nicky Hager’s point here is entirely correct. David Farrar is a cynical & calculating political operative. Media should treat him like one. Nicky Hager’s article is definitely worth a read. It doesn’t mention Matthew Hooton, though, so I’ll come back to that. Hayden Donnell’s article ‘Dirty Politics turns three: where are Cam, Jason, Carrick and the rest now?’ (link to The Spinoff here) is quite a romp …and funny. 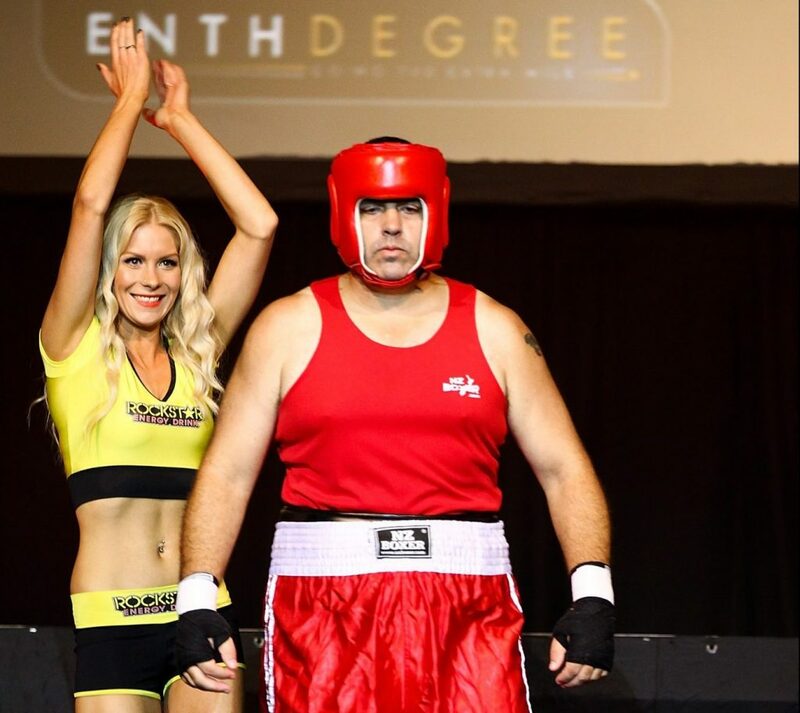 Got knocked out in a Fight For Life by Jesse Ryder, causing him to suffer an extremely large number of abusive Stuff and YouTube comments and several bruises to any remaining pride. Became such a toxic brand he got sidelined from his own blog, which is entirely based on being as toxic a brand as possible. Got fined after being found to be in contempt of court. Had a booklet of insults about him sent to more than a million homes by Colin Craig. Became embroiled in a legal battle with Craig over the booklet of insults, prompting Steve Braunias to write a large number of stories about him. It’s tempting to say no man deserves all this misfortune. But that’s not true. One man does deserve it, and that man is Cameron Slater. By Sharon Murdoch – so good. 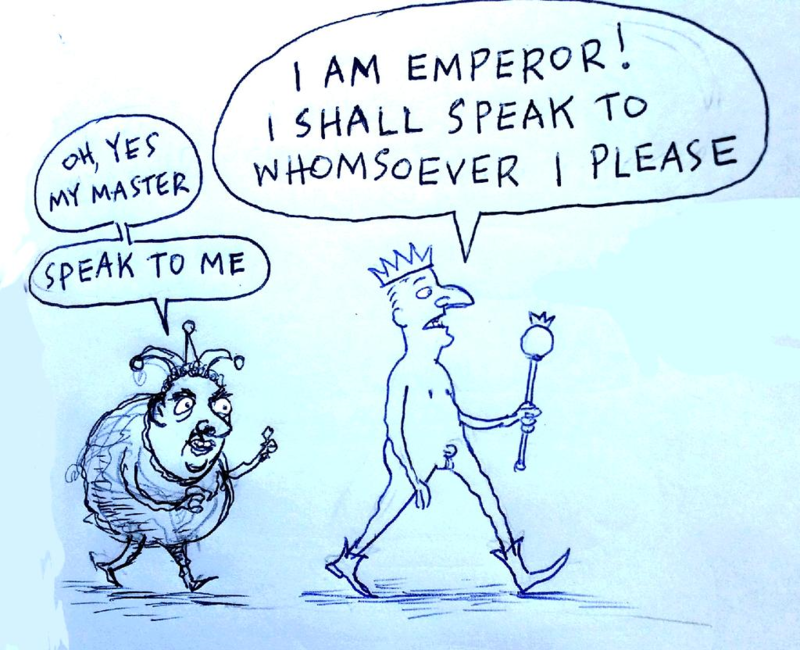 Matthew Hooton is missing from this cartoon. He shouldn’t be. Hmmm. That’s not quite how I see it. 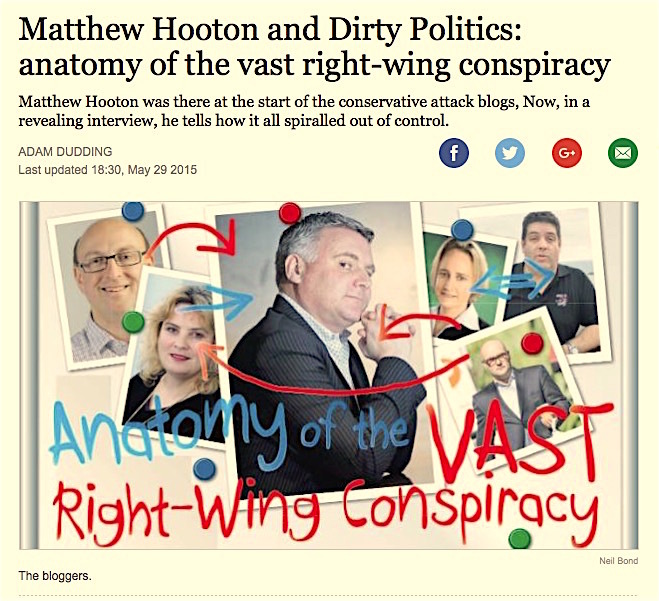 Click to read Adam Dudding’s Canon Media Award-winning feature on Matthew Hooton and Dirty Politics attack blogging. It’s simply a must-read on this topic. Even if Hooton is only a minor target in Dirty Politics, though, his associations with the main players still go way back. He first met tobacco lobbyist Carrick Graham when they were both 8 years old and attending Kings Prep School. They’ve since worked together and as rivals, in PR. He got to know Kiwiblog’s David Farrar in the 1990s when they were both spin-doctors for National ministers. In the mid-2000s, though, the opportunities for politically like- minded people to find each other exploded, with the growing popularity of blogs – online outlets where anyone could rant about whatever they liked. There were blogs about food and film and pets and sexuality, but for political bloggers, the internet became a quasi-journalistic wild west, where defamation laws could be pushed to the limit, where political insiders could release facts or opinion without being hamstrung by traditional media rules about balance, accuracy and context. There were bloggers on the far left, the far right, and everywhere in-between, and for many blogs the only people reading them were other bloggers. But in 2008, the last year of Helen Clark’s Labour government, a handful of the more popular bloggers on the right found common cause in wanting to see Winston Peters out of the election race. They were also all keen to see Clark’s electoral finance bill defeated, and, of course, for National to come to power. 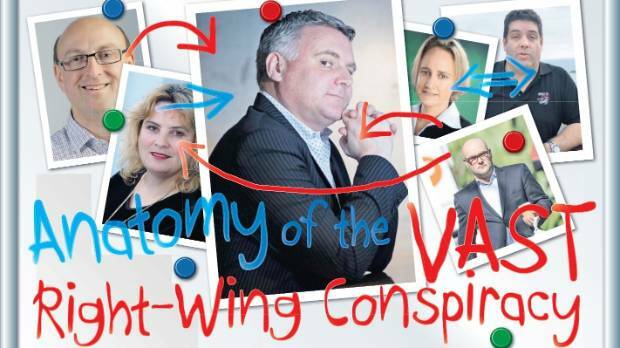 They called themselves the Vast Right-Wing Conspiracy (VRWC), in a mocking nod to Hillary Clinton’s use of the phrase during the Monica Lewinsky scandal. Occasionally they’d meet in the real world for a drink or a meal, but mainly they talked in emails, on Facebook, in each other’s comment section. It was a loose coalition with numerous lesser blogs on the periphery, but the core was well defined, says Hooton. There was Farrar and Slater, whose Kiwiblog and Whale Oil blogs had the biggest readership. (Slater, son of a former National Party president, was politically well-connected, but he was initially best known for his tendency to break court suppression orders, and his viciously abusive, near-psychotic prose style). Hooton, meanwhile, was blogging on the now-defunct site NZ Pundit. There was also Odgers, who he describes as a “fantastically crazy Hong Kong lawyer who loves champagne … and lives a life of hedonism” who wrote acerbically as “Cactus Kate”. Tina Nixon, a Wellington public servant, was “Busted Blonde”, and Charles Finny, then head of the Wellington Chamber of Commerce wrote as “Queen Bee” on a blog he called “The Hive”. They sometimes acted in concert, but Hooton sees nothing wrong with that. “We tag-teamed, like political activists do – ‘I’ve heard this; I’m going to to write that; you guys might want to follow it up’. It’s bittersweet reading about how these guys and gals worked. The ‘tag team wrestling’ approach endures, with Hooton (as discussed here) now also employing apprentice Ben Thomas as (to use Andrew Geddes’ term) his ‘mini-me employee’ to spread the … um … message. Political allegiances and conflicts of interest? No worries, mate. Matthew Hooton is now attack-blogging for The National Business Review, where he is lead writer and spiritual editor-at-large and, it seems, highly influential. David Farrar is still running his awful but, I don’t know, I guess popular(?) 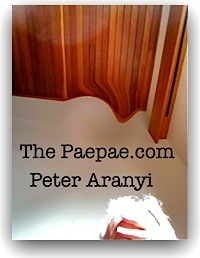 Kiwiblog site —dispensing ‘hits’ and carefully calculated smears to his toxic but lively community of like-minded bigots, hang-’em-high-throw-away-the-key Tories and racists, and, as noted, getting far too much unexamined cosy exposure on Radio NZ. Those two are I would say, still the most influential. Their puppet, Cameron Slater is now a mere shadow. Good. His awful thrashing about for attention and his wife’s derivative islamophobia and aping Breitbart is even worse than the slavish copying Slater Jnr did from Andrew Sullivan’s The Dish in the early days. Just a few days ago, the Lawyers National Standards Committee released its finding against one of Carrick Graham’s clients, a lawyer called Ms Denham. Decision here: New Zealand Lawyers and Conveyancers Disciplinary Tribunal – National Standards Committee v Denham. The conduct it reveals is disgraceful, in my opinion. I referred to Carrick Graham’s sleazy reputation-attacks-for-hire for Ms Dunham last year (see: More evidence that Carrick Graham is a paid character assassin). I’ll discuss this matter further in the near future in the light of what’s been revealed. 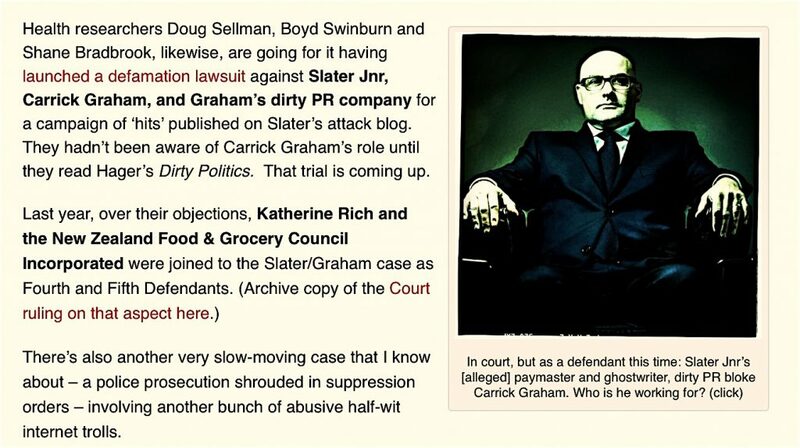 Meanwhile the lawsuit against Carrick Graham, Cameron Slater and Katherine Rich must be proceeding … (see Apparently this choir boy and his glove puppet are being sued for defamation). PS The Denham case – a lawyer investigated, prosecuted and (to be) penalised for misconduct – made me wonder again how it is that Jordan Williams has (so far) escaped sanction after Judge Sarah Katz’s catalogue of his actions related to Rachel McGregor. Perhaps things are under way behind the scenes? Dunno.